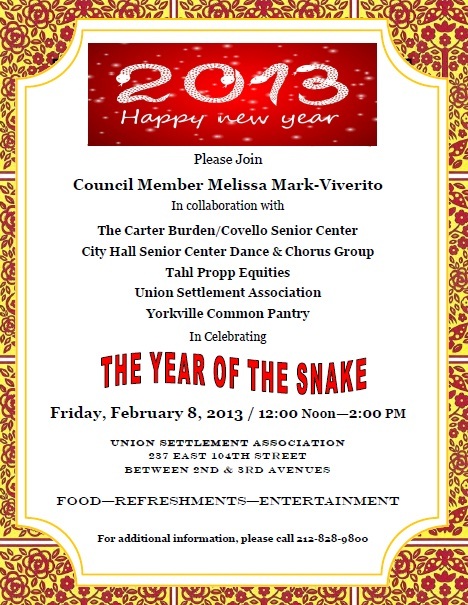 Please join us in celebrating the Chinese New Year and welcoming the Year of the Snake on Friday, February 8th at the Union Settlement Association. There will be food, refreshments and entertainment; so make sure to come by for an enjoyable afternoon. 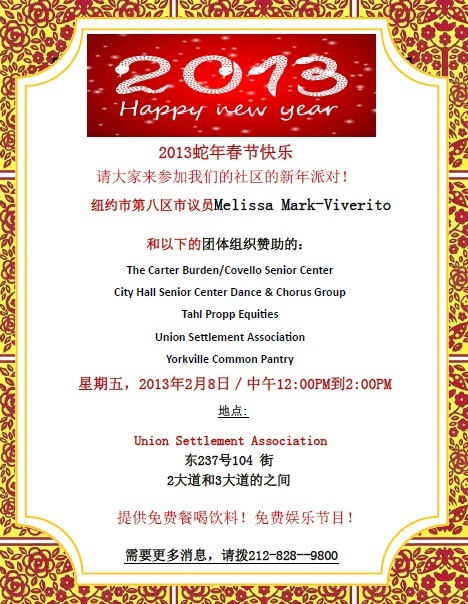 This entry was posted in Blog, East Harlem, Events and tagged Chinese culture, Chinese New Year, East Harlem, Event, Holidays, New Year, Year of the Snake. Bookmark the permalink.